St George’s Day, marks the centenary of the Raid on Zeebrugge which took place on 23 April 1918. 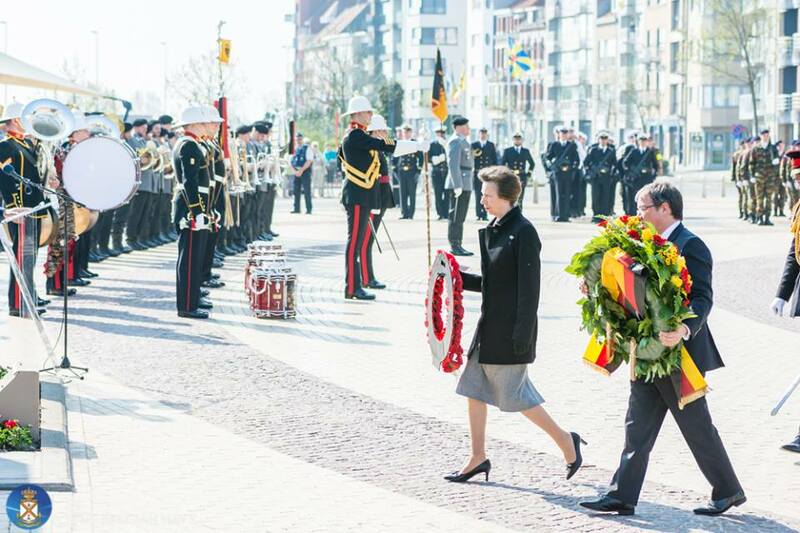 On Saturday 21st April Princess Anne marked the occasion by participating in commemorative events in Bruges. One hundred years ago the British Royal Navy sent 136 ships to Zeebrugge and Oostend. 176 British marines lost their lives in this battle. Eleven 'Victoria Crosses' for courage were awarded, the highest British military honour. The following people attended the ceremony: County Governor Carl Decaluwé, State Secretary Philippe De backer (Open Vld), Minister of Defence Steven Vandeput (N-VA), German Minister Armin Laschet and the great-grandson of Winston Churchill, Randolph Churchill. The General Representative of the Government of Flanders in the UK, Nic Van Der Marliere, was part of the organising committee and was also present at the ceremony. On 23 April the exhibition '1914-1918 - The battle of the North Sea' was opened. The exhibition tells the little-known story of the war at sea and the essential role of Bruges.